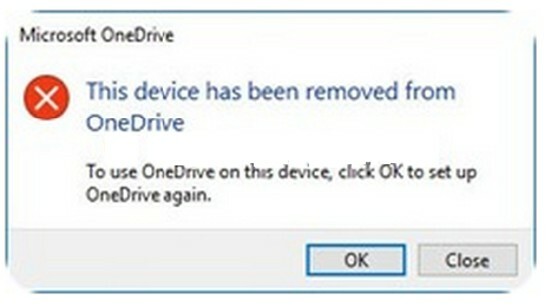 The error “This device has been removed from OneDrive” sometimes appears in Windows 10, Windows 8, Windows 8.1, and Windows 7. Many were able to fix it by simply reconnecting to OneDrive. Be sure to change the directory to the directory you were using if you changed it from the default. Redoing the Setup and choosing the same OneDrive folder to sync files has fixed the issue for us. OneDrive will not attempt to recopy files already there so it will not be time consuming. If you are still unable to reconnect, then Microsoft suggests Windows 10 users run Microsoft Account troubleshooter as it has fixed the issue for some.